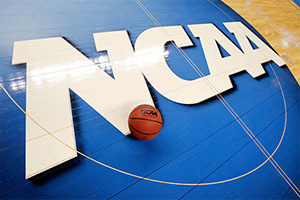 The couple of day’s rest may have been welcome for the players and coaches but NCAA fans and Basketball Betting fans around the world had to calm themselves down in the build-up to the Sweet Sixteen round of the NCAA March Madness tournament. If the Thursday games were anything to go by, it was well worth the wait and hopefully the Friday games will live up to what was on offer. There were some doubts and concerns over the number 3 seeds Notre Dame but in the game against the number 7 seeds from Wichita State, the Fighting Irish provided to have too much power and strength. The second half performance from Notre Dame was fairly dominant, allowing them to break away and book their place in their first Regional Finals since 1979. Pat Connaughton grabbed his 9th double-double of the campaign, picking up 16 points, 10 rebounds, 2 steals and 2 assists. He will need to be in even better form this weekend if Notre Dame are going to retain their March Madness ambitions. If people had been saying that Kentucky were yet to flex their muscles in this tournament yet, they witnessed an excellent show of basketball on Thursday. This was a dominating performance from start to finish for the team that now holds a 37-0 record for this season. When you take on board the fact that West Virginia have been highly praised for their defensive work this campaign, the strength and power of the Wildcats is there for all to see. With 8 points, 10 rebounds, 2 assists, 1 steal and 3 blocked shots, Willie Cauley-Stein can be very proud of his efforts in a game when the entire team performed at a high standard. Wisconsin were trailing for a good part of the second half and there was a growing belief that the number one seeds were going to be tipped out by the number 4 sides. 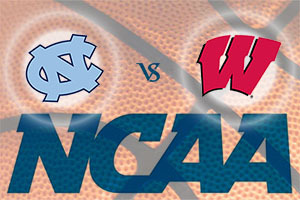 A late rally blew those ambitions away though and Wisconsin can travel through to the Elite Eight with a bit of confidence. Sam Dekker was in excellent form for the winning side, grabbing a career high of 23 points while also offering up 9 rebounds for Wisconsin. If you are looking at a player who is improving as the tournament goes on, this is a player to look out for. The number 6 seeds Xavier gave it everything they had but in the end, Arizona were able to pull through. Late on in the second half it looked as though there could be an upset in this one but a 19-7 run was enough to see the favourites through to the Elite Eight. Matt Stainbrook was a big man in size and stature in this game, offering up a double-double with 17 points and 10 rebounds in the game. It sadly wasn’t enough to lead his team to victory but the Xavier man was a star performer throughout the game. With half of the Elite Eight now in place, the focus turns to see who will join them and before the close of play on Friday night, there will be just 8 teams left in the tournament.